The Stanford House is a lodge and event facility located in the heart of the Cuyahoga Valley National Park and administered by the Conservancy for Cuyahoga Valley National Park. The Conservancy provides five primitive camp sites for travelers on foot or bicycle, located a short distance from the Stanford House. Whether you're in the middle of a cross-country tour, or just looking for a one-night mini-adventure by bicycle close to home, these camp sites are a perfect resting spot just a stone's throw from the Ohio & Erie Canal Towpath Trail. The Stanford House camp sites officially opened for the season yesterday (May 22, 2015). For information about rates and reservations, click here. There are other opportunities for camping along the Towpath Trail, many of the FREE! 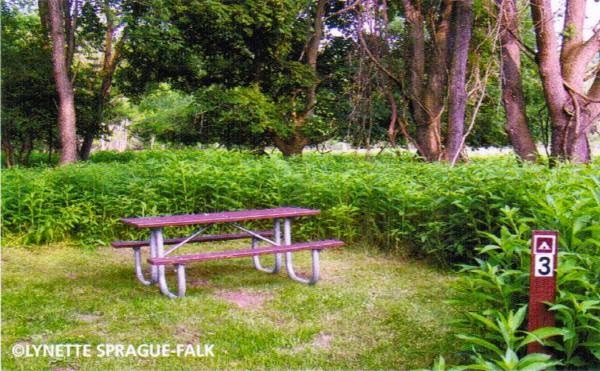 Sites are provided by the Summit Metro Parks and Stark County Parks District. For details about the locations of these camp sites, rules and procedures, plus more Towpath Trail camping options, see the article "Camping Along the Towpath Trail" on the Century Cycles web site! Get a $5 Gift Card from Road ID!